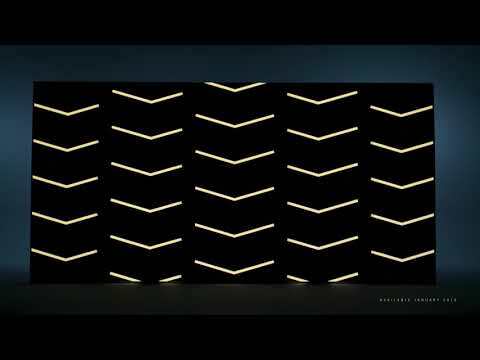 •	Cadillac user experience§ with embedded navigation. 2019 XT4 NEW APPROACH. NEW DEPARTURE The first-ever Cadillac XT4 is confident by design and provokes performance. Enjoy an abundance of technology and conveniences and choose a distinct model to express your personal style. Performance POWER THAT PERFORMS The all-new 2.0L turbocharged engine produces 237 hp and 350 Nm of torque. It will feel like lift-off as soon as your foot touches the pedal. The engine is paired with a 9-speed transmission and available twin-clutch AWD, making every drive stand out. A sophisticated twin-clutch AWD system directs power to the wheels where it's needed for enhanced handling on your next adventure. ACTIVE FUEL MANAGEMENT The engine automatically switches to 2-cylinder operation under certain conditions, for enhanced efficiency. ALL ACCELERATION A sophisticated 9-speed automatic transmission provides both efficiency and intelligent power delivery, enhancing your drive. 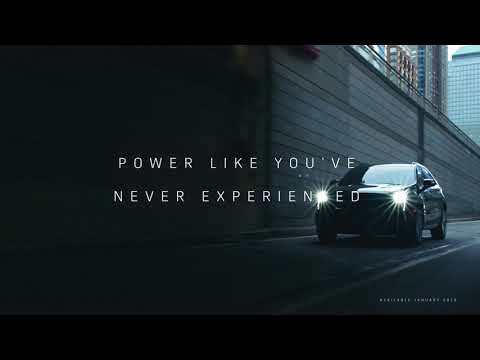 THE POWER OF CONTROL A sophisticated twin-clutch AWD system directs power to the wheels where it’s needed for enhanced handling on your next adventure. OWN ANY KIND OF ROAD Adapt to the road or conquer it with selectable driving modes in both AWD and FWD. FWD Modes include: Tour for everyday driving Snow/Ice for enhanced control in inclement weather. Sport for an exceptional engaging drive. An all-new engine delivers 237 hp and 350 NM of torque. 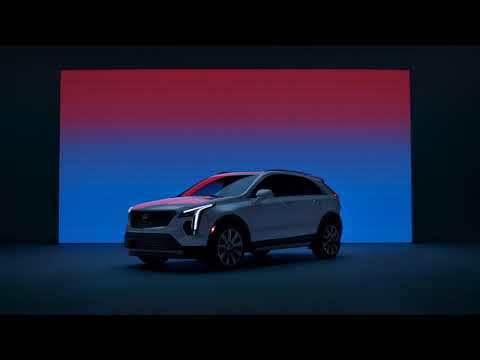 TECHNOLOGY HIGH-TECH AT ITS SIMPLEST The XT4 is smart in every way, with a tremendous number of technology features that allow you, your world and your vehicle to be more connected than ever. So you can sit back and enjoy the drive. 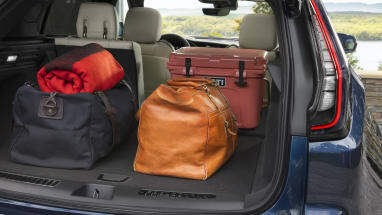 AVAILABLE HANDS-FREE LIFTGATE A foot sensor to open the available liftgate hands-free is located underneath the rear of the XT4 and easily identified with ground projection of the Cadillac logo. ROTARY CONTROLLER Intuitive controls let you adjust your drive with simple motions. ACTIVE SPORT SUSPENSION The available Active Sport Suspension uses Continuous Damping Control technology to adjust the damping for each wheel every two milliseconds, helping provide a more precise and comfortable ride. REAR CAMERA MIRROR2 The available Rear Camera Mirror streams rear-facing video while driving that expands to provide a wider, less obstructed rear field of view than a traditional mirror. INSTRUMENT PANEL DEDICATED CONTROLS The most frequent functions are all within easy reach. INTERIORS BUILT WITH BEAUTY The elevated design can be personally stylized with authentic interior décor choices of metallized aluminum, diamond cut aluminum, carbon-fiber or wood. 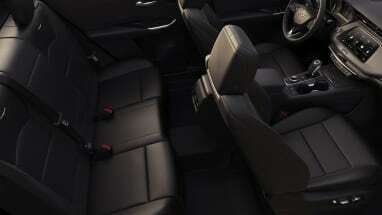 A thoughtfully created interior provides segment-leading rear leg room and knee clearance for backseat passengers. 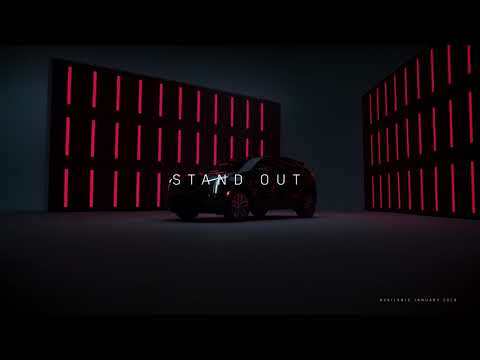 ATHLETIC PROPORTIONS A bold, new design begins with a strong shoulder line that runs the full length of the side profile to help emphasize the powerful yet compact proportions of the XT4. You can customize your XT4 with particular design cues to match your personal style and passions. Select from three different models—Luxury, Premium Luxury and Sport—with each offering its own unique exterior accents. 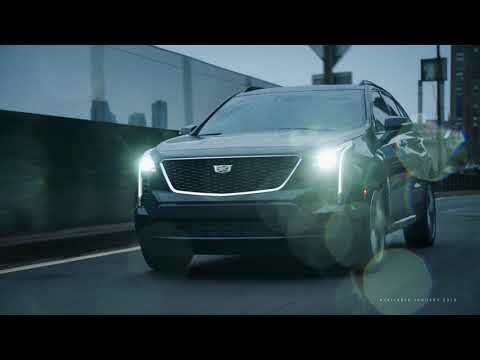 SLICE THROUGH DESIGN Striking new front and rear LED signature lighting remain distinctively Cadillac. STRIKING WHEELS The eye-catching XT4 comes standard with 18-inch alloy wheels. Available Premium Luxury and Sport models offer 20 inches of distinction. WHEN ADVENTURE CALLS, XT4 ANSWERS With standard roof rails that can be used to support bikes and other items, an escape is a must. 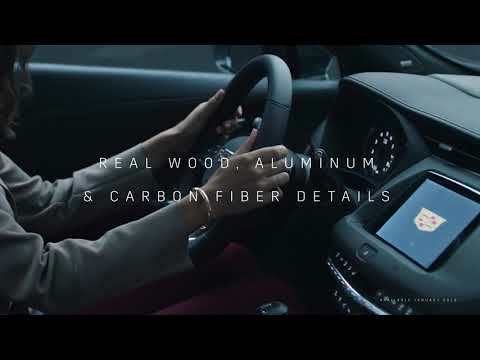 SAFETY SURROUNDED BY AVAILABLE SAFETY INNOVATIONS The All New Cadillac XT4 offers you exceptional peace of mind. With standard and available safety features like, driver assistance package, forward and reverse automatic braking, front pedestrian braking, forward collision alert, the XT4 is designed to help you with the unexpected and to get where you are going safely. PILLARS OF STRENGTH Premium, high-strength steel help manage crash energy in frontal-, side- and rear-impacts. GRABS YOUR ATTENTION. SUBTLY. The available Safety Alert Seat sends a discreet pulse to the left, right or both sides of the driver’s seat, indicating the direction of the potential danger. BRAKE BEFORE THE DANGER Available automatic braking systems can help in potential collision situations by automatically applying the brakes if the driver has not already done so. Air bag inflation can cause severe injury or death to anyone too close to the air bag when it deploys. Be sure every occupant is properly restrained with seat belts. See the Owner's Manual for more airbag information.